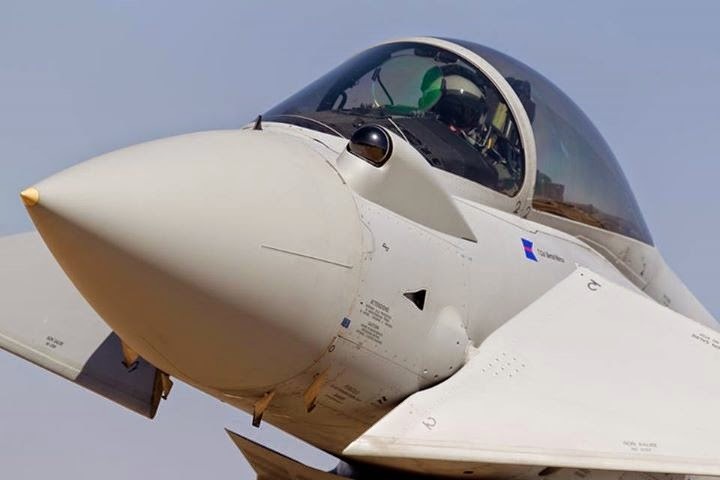 Eurofighter partner nations Germany, Italy, Spain and the UK have agreed to complete the development and integration of an active electronically scanned array (AESA) radar for the Typhoon. Announced following a four-nation ministerial meeting held at Selex ES’s Scotland site in Edinburgh on 19 November, the development will lead to the completion of work on the Euroradar consortium’s Captor E-Scan. Approval of the €1 billion ($1.2 billion) deal via the NATO Eurofighter and Tornado Management Agency follows an in-principle agreement linked to a “Radar 1+” configuration announced by the parties at the Farnborough air show in July. 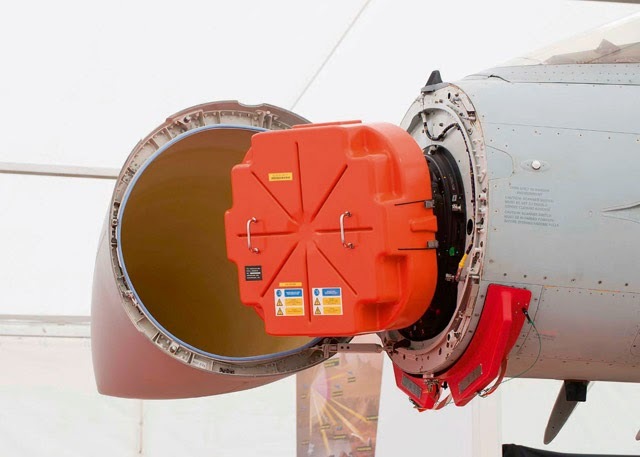 The Euroradar partners had self-funded AESA development activities up to this point, including the installation of a Radar 1+ sensor and array repositioner in BAE Systems-operated instrumented production aircraft IPA5 shortly before the Farnborough air show. After initial flight tests, the radar was returned to Selex, which checked its installation and additional power and cooling system performance. Flight testing will resume in early 2015, including tests with the radar transmitting, BAE says. The company is currently ground testing IPA5 following the installation of additional flight-test instrumentation. The test process will also involve Airbus Defence & Space in Germany with twin-seat aircraft IPA8, and it will employ instrumented “target” aircraft to help acquire detection and tracking data. BAE values its role as system integrator at £365 million ($572 million). Once development work and test activities have been completed later this decade, the Captor E-Scan will be available for installation in remaining new-build Tranche 3A examples of the Eurofighter. It could also be retrofitted to Tranche 2 production aircraft, although these would have to undergo structural modification to accommodate the system. The new E-Scan sensor will offer “increased detection and tracking ranges, advanced air-to-surface capability and enhanced electronic protections measures”, says BAE, while Euroradar cites a 200˚ field of regard for the system. With no moving parts in the antenna, it also will have reduced maintenance requirements. The availability of the AESA system will provide a lift to Eurofighter as it seeks additional export sales. 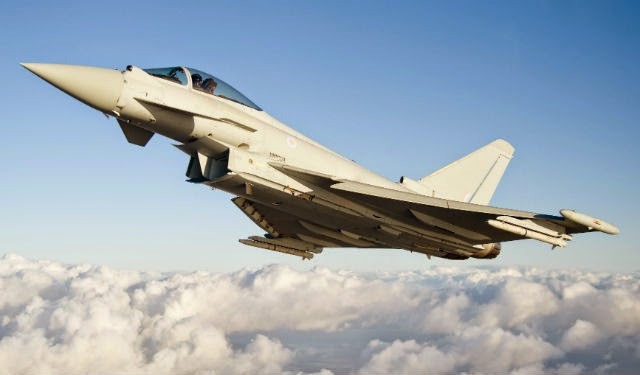 “The signing of this contract is a massive boost to all of us and is a pivotal moment,” says Eurofighter consortium chief executive Alberto Gutierrez. Other enhancements already under contract cover the integration of new weapons, including the MBDA Storm Shadow cruise missile and Meteor beyond-visual-range air-to-air missile. Separately, the UK is advancing the Selex-led development of a nation-specific AESA system for potential integration with some of its Typhoons, having signed a £72 million deal for the work earlier this year.